Anvil Ambos commonly made of iron block and use for shaping, originally by hand with a hammer. It also use to hammering curved pieces of metal. This kind of weight tool popular as something ancient but unique. It need to preserved to the modern people in the world. But those people ignored something heavy. Here we have wooden anvil amboss. But this kind of wooden and handmade product is not use to shapping, hammering curves pieces of metal or another activity that use hammer. 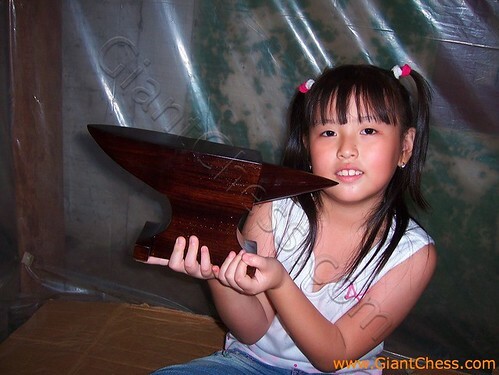 This wooden anvil amboss is use only for decoration your house to get some unique touch.